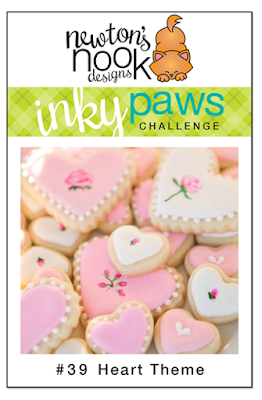 Inky Paws Challenge: Inky Paws Challenge #39 Reminder--Use a Heart! Here'a a refresher of the challenge -Use a Heart! 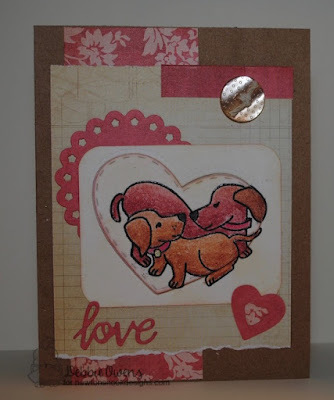 Debbie Owens made a heart-themed card using the sweet Dachshunds from Darling Duos and the coordinating die Darling Hearts Die Set. What a delightful card for a dog-loving friend! 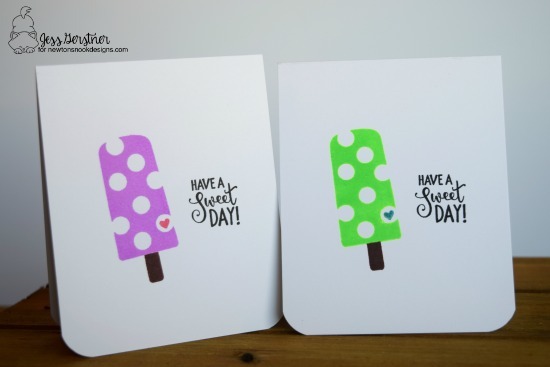 Jess Gerstner made a simple set valentines using Party Pops. Some selective stamping allows the little heart to pop. I hope these projects have inspired you to play along! Remember, you have until this Friday, January 27, 2017 at midnight CST to enter. There's a prize involved too, so don't delay - view all the entries and see more inspiration on our inky paws Challenge here!